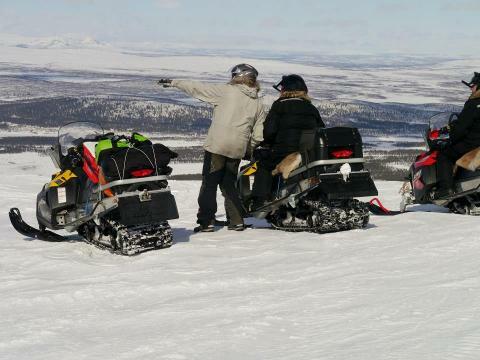 Join us on a guided snowmobile tour through the beautiful snow-covered landscape to the mountain Eatnamvarri which offers an amazing view over our most famous mountain range covered in sparkling snow. 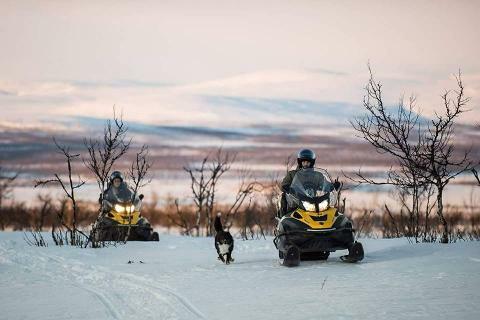 We tell you the story about the Sami people and show you a Sami village located far away from the nearest road, and if you are lucky you might get a glimpse of their reindeers walking along the tracks. 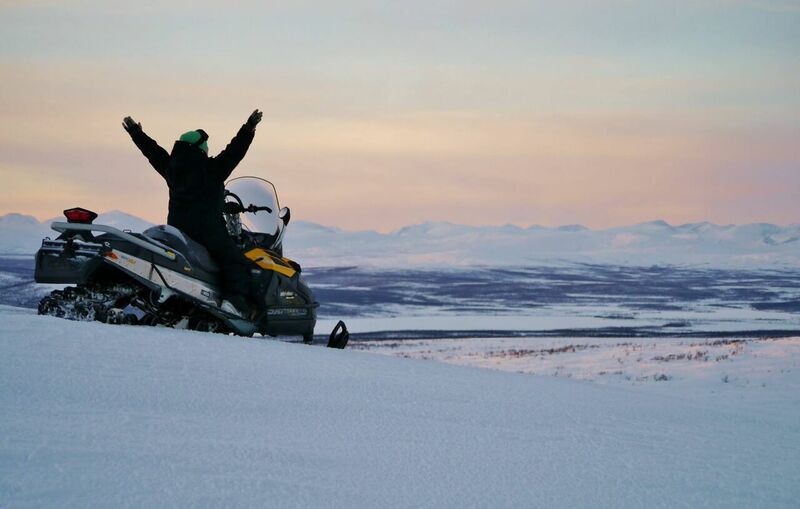 Depending on which time of the season you'll join us on this tour, you'll get to experience the difference in daylight up here in the North. 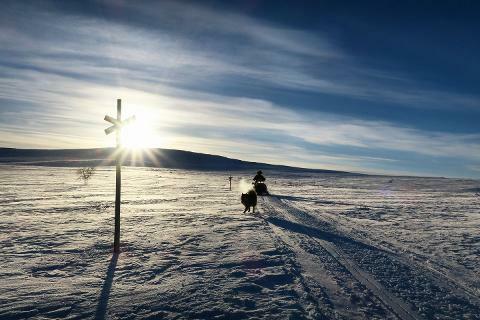 In December we have the Kaamos light which can only be seen in the Arctic areas, in January the sun slowly returns above the horizon after months of almost complete darkness. In February and forward you'll get a wonderful view of the sun and get to see breathtaking sunsets over the mountains, so don't hesitate to join us and don't forget to bring your camera along! After the tour, you'll be served lunch and hot beverages at the Lodge.